After working my tail off and really sticking to a workout routine over the spring, summer came along and I slacked off. Next thing I knew, I hadn’t worked out in over a month. I am a horrible self motivator when it comes to working out. Truth be told, I don’t love working out. I do it because it gives me energy and I know it keeps me healthy. 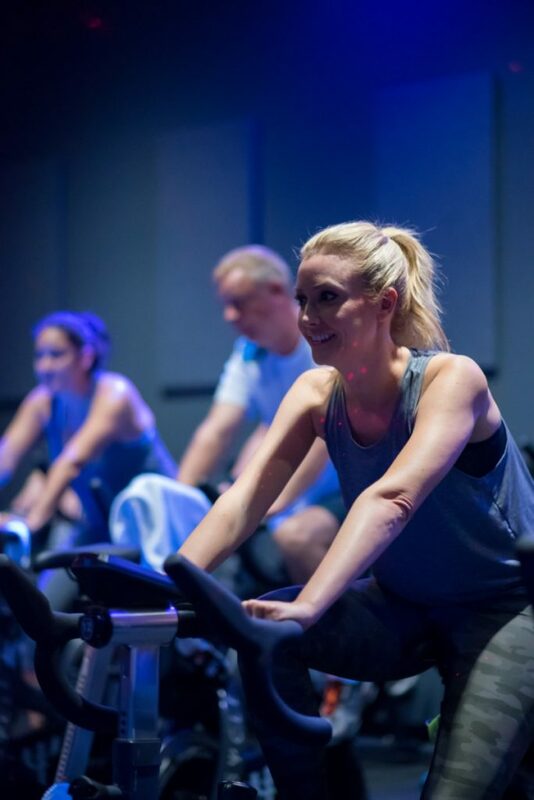 I decided to try spin classes at Full Psycle and they did not disappoint! When I got to the Full Psycle gym, someone greeted me and I got signed in. They gave me shoes for the class, so no need to bring or buy your own. Full Psycle also has lockers for your personal belongings. If you are a spin beginner, they will help you adjust your bike based off your height. and get your feet locked into the clips. 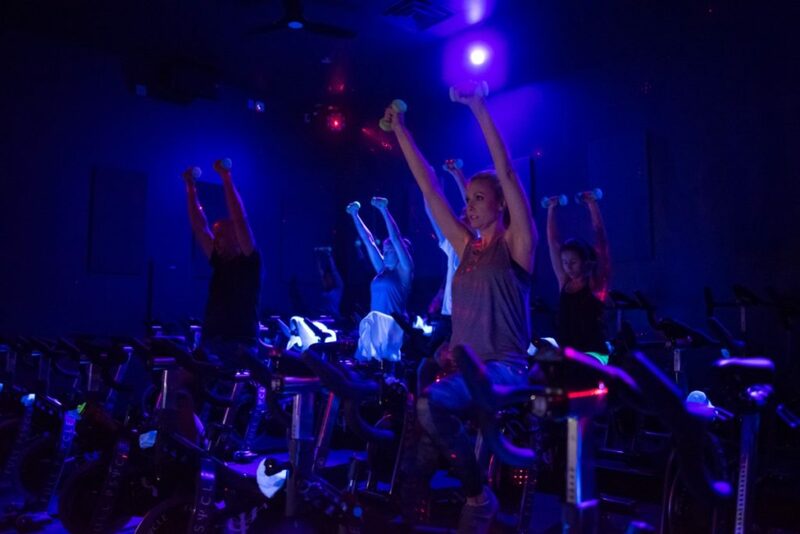 Full Psycle is a blast because they turn the lights off, turn on the laser light show and the spin party begins. Milo was our instructor and he was energetic and charismatic. He really helped push everyone to do their best by being fun and inspirational. I loved that this Full Psycle class was a full body workout by incorporating hand weights into the leg/cardio workout. The coolest thing about Full Psycle is that there is a tv on the wall that sets goals for you and then that information is saved over time so you can track your results. It’s got a real social atmosphere too. I always enjoy chatting to people before and after the sessions. I was talking to someone about how I was struggling to keep up towards the end so they said how I might want to look into supplements that can help boost my workout performance. Apparently, glycine propionyl l carnitine is the best at this so I’ll have to look into it! If there’s a social atmosphere at a gym then I will always be more motivated to go back. After the class is over, everyone is given a chilled eucalyptus towel, so you leave feeling refreshed! 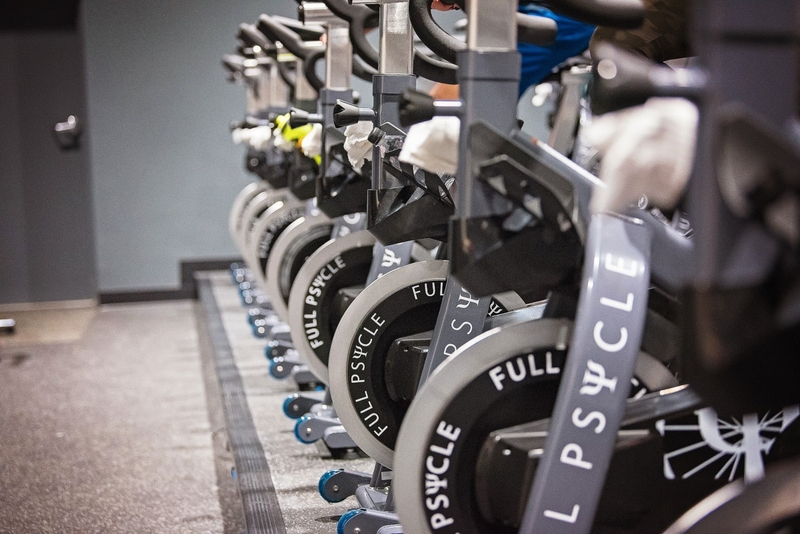 I loved the energy at Full Psycle and will definitely be incorporating their classes into my new workout routine. I look forward to going at least 2-3 times a week. If you are in The Market Street area here in The Woodlands I’d love to see you at a Full Psycle class. If you aren’t in TX find a Full Psycle near you HERE. Don’t forget to check out The Market Street for other neighborhood happenings during the holidays!